Recent trend of automobile equipped with Electric Controlled Throttle Valve replaced from Mechanical Throttle Valve (Cable type). 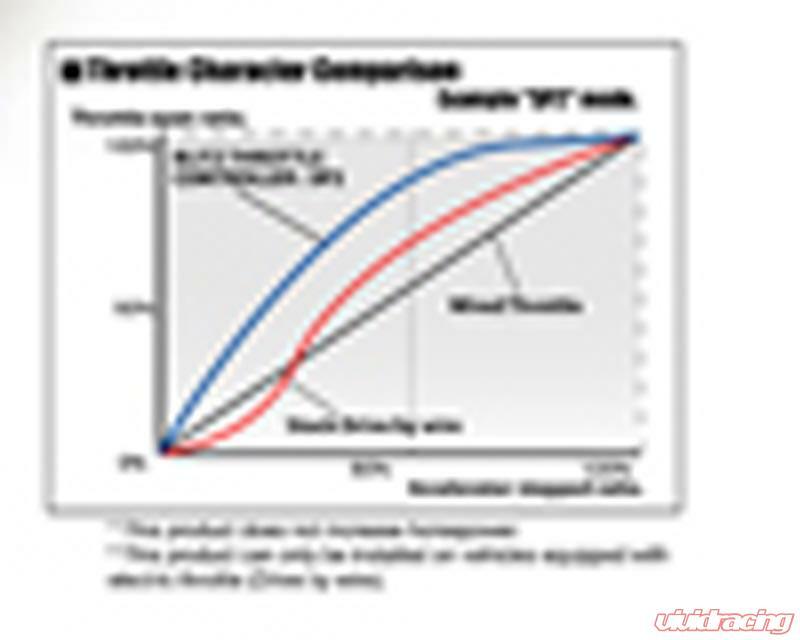 The electrically controlled throttle valve is one of updated technology in automobile industry and the technology brings a precise throttle valve control enable to adjust acceleration characteristic for much more fuel conservative yet causing gap in acceleration response in the other end. BLITZ Throttle Controller eliminates acceleration gap as much as possible by converting electric signal by the use of pre-programmed characters (modes). 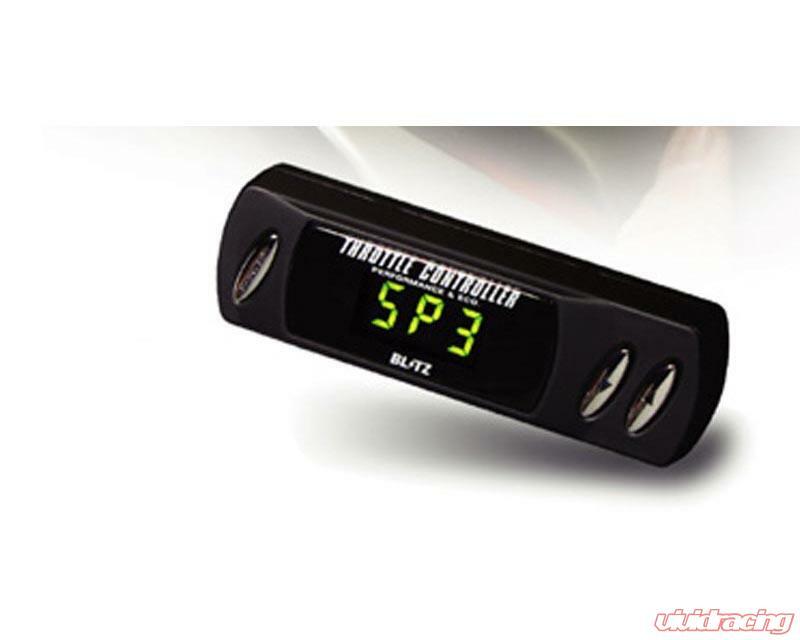 Throttle Controller is an item which improves acceleration response. The unit includes Vehicle Specific Wire Harness, which makes Plug & Play easy installation (some vehicle may require 12v power wiring). Most application simply plugs in Vehicle Specific Wire Harness in between a accelerator-pedal position sensor and a factory stock wiring which is most of time located close to accelerator pedal. Display Units and Control Box are separated individually made display unit light and compact enough to place easy on dashboard area. BLITZ Throttle Controller is a most reliable unit among in the market as well as an easiest solution to improve accelerator response.